My cousin lent me this earlier this year but I forgot to read it right away. It kind of looks like a children’s book but I’m definitely wrong. I’ve been warned beforehand by my cousins who’ve already read it but I didn’t believe them. How can something so cute be scary and frightening? Well, it is not really scary. It is…unsettling. I wasn’t expecting it to be this way morbid. It is sugar-coated with Kerascoët’s amazing watercolor skills that doesn’t really make it look morbid at first glance. It is colorful and vibrant and way different from the usual take on morbid graphic novels. The plot kind of reminds me of Lord of the Flies, survival of the fittest and all that jazz. Horrifying that for them to survive, they have to fight even if they have to commit horrible acts of killing each other in the process. Oh, the humanity. I’m still uncertain what to make of this book, but still, it is beautiful. 12 Oct	This entry was published on 12.10.14 at 12:34 pm. 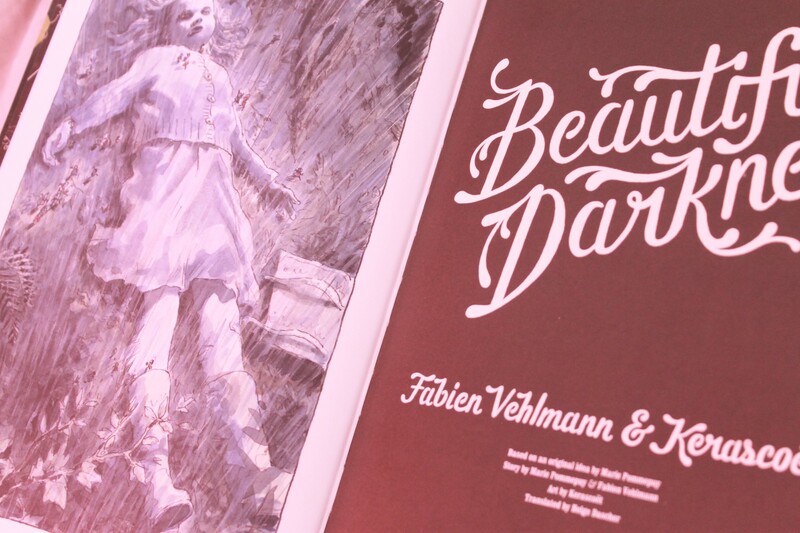 It’s filed under In Which I Write About Books and tagged Art, Beautiful Darkness, book review, books, comic books, Fabien Vehlmann, France, Graphic Novel, Kerascoët, manila, Philippines. Bookmark the permalink. Follow any comments here with the RSS feed for this post.